SkySafari 4: Journey into Night! Explore Sun, Moon, Mars, Stars, Satellites, and NASA space missions! Want to learn more about the night sky? Then SkySafari 4 is the app for you! 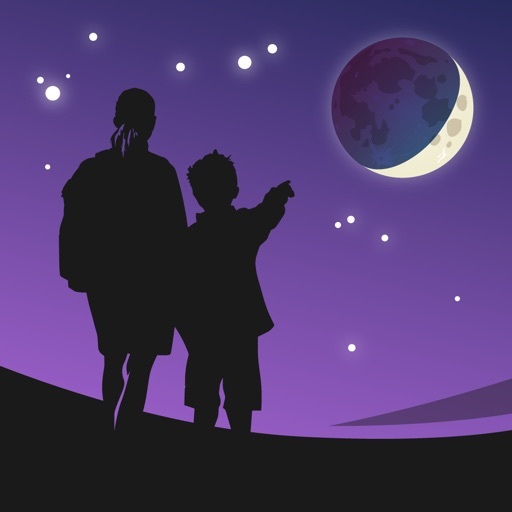 Just hold your device up, and SkySafari will find stars, constellations, planets, and more! The star chart updates automatically with your real time movements for the ultimate stargazing experience. See an eclipse now, in the past or in the future! Simulate the night sky from anywhere on Earth many years in the past or in the future! Animate meteor showers, comet approaches, transits, conjunctions, and other celestial events with SkySafari’s Time Flow. Trying to locate the Sun, Mars, or the Moon? Search from our extensive database and track the arrow to be directed to their exact locations in the sky before you. See spectacular views of Venus, Jupiter, Saturn, and other planets! Learn about the history, mythology, and science of heavens! Browse from hundreds of object descriptions, astronomical photographs, and NASA spacecraft images in SkySafari. Explore tons of NASA Space Missions! Stay up-to-date with SkyWeek, for all major sky events every day – miss nothing! SkySafari 4 is the most comprehensive astronomy app – a powerful planetarium that fits in your pocket. It puts the universe at your fingertips with thousands of stars, planets, satellites, and other objects AND hundreds of astronomical images and encyclopedic object descriptions! All this is built into SkySafari 4 – no need for an Internet connection. The streamlined interface turns your iOS device into a celestial travel guide! This app is everything the casual stargazer will ever want. • 120,000 stars; over 200 star clusters, nebulae, and galaxies; all major planets and moons, and dozens of asteroids, comets, and satellites including the International Space Station (ISS). • Animated meteor showers with complete viewing information & spectacular graphics. • SkyWeek – Daily interactive star chart and links to more articles on Sky & Telescope’s website. • Apple Maps Integration – Choose your location from a built-in Maps view. • Horizon Panoramas – Angel Island, Manua Kea Observatory, Uluru/Ayers Rock, Snowbird Summit, Trinity Alps, Yerba Buena Gardens, or customize your own! • For features such as telescope control and more, check out SkySafari 4 Plus and SkySafari 4 Pro! 1. Fixed problem on iPhone 6s where you couldn't select objects by tapping on them. 2. Fixed problem with drawing shadows of planets on moons when moon is closer to sun than planet.